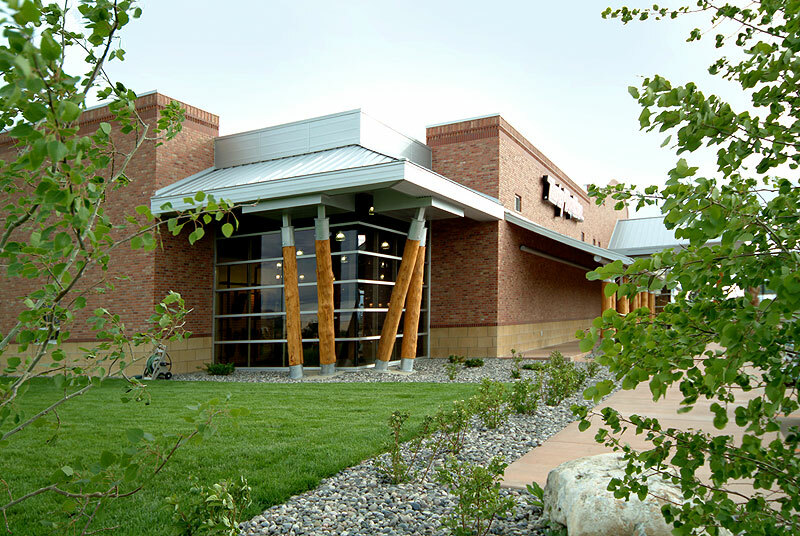 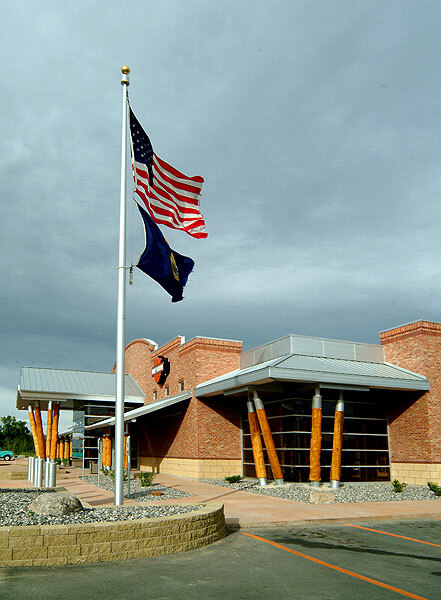 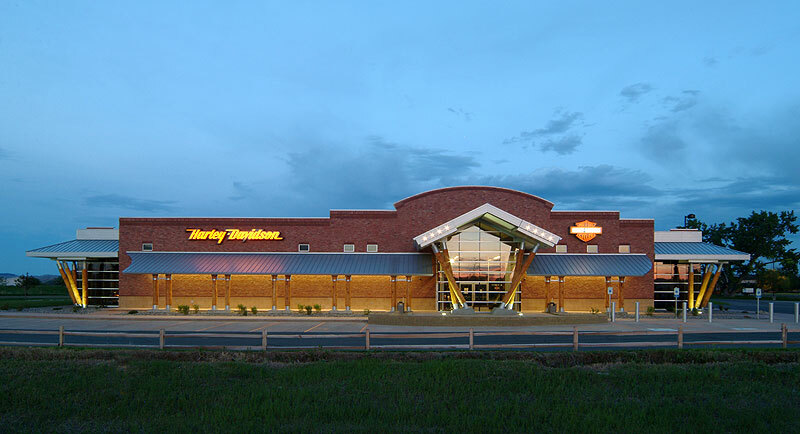 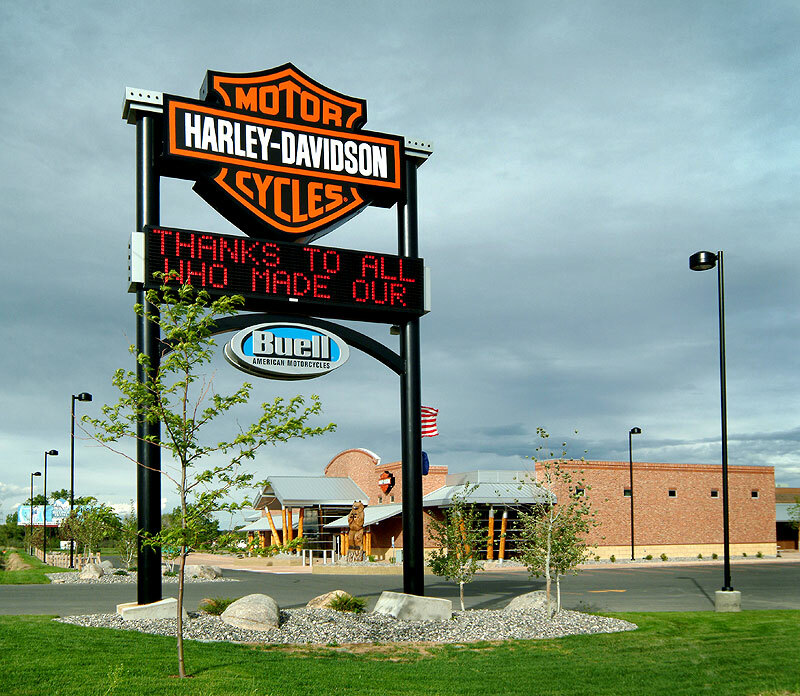 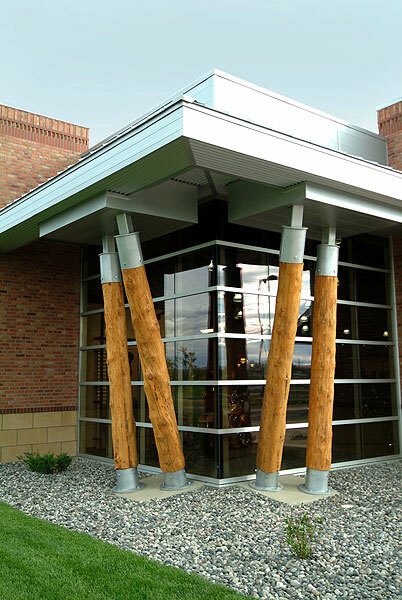 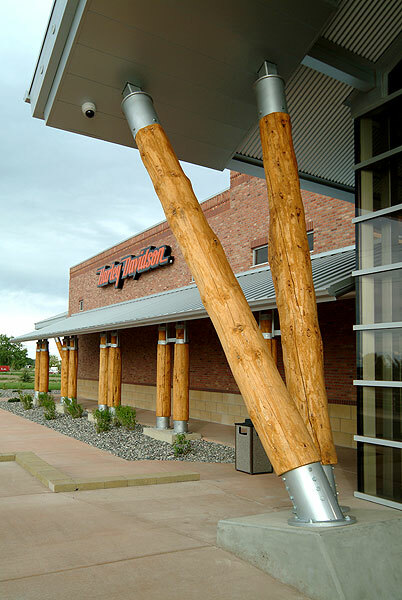 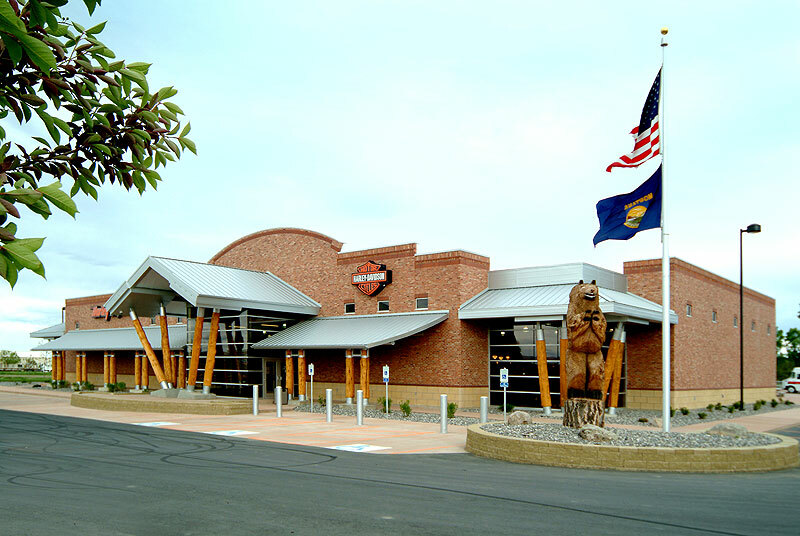 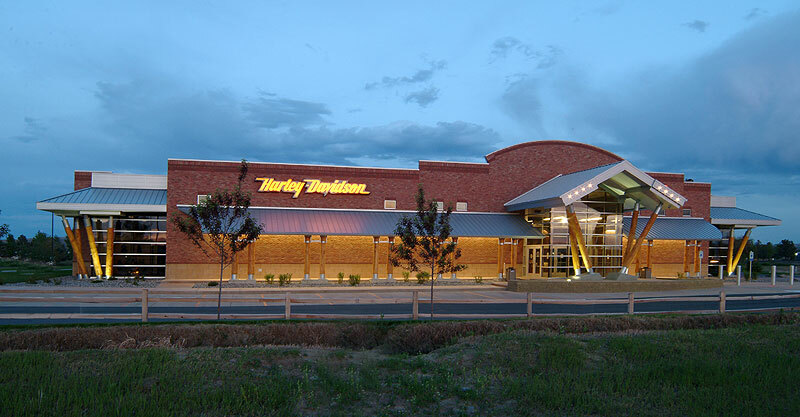 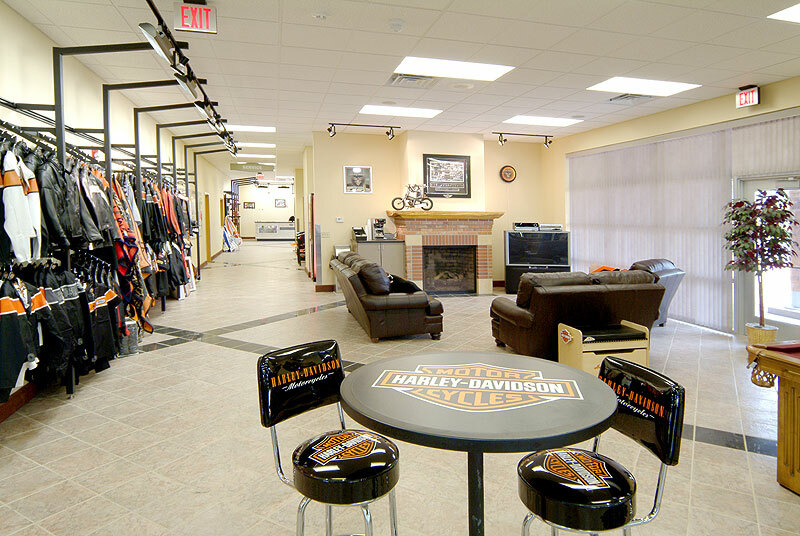 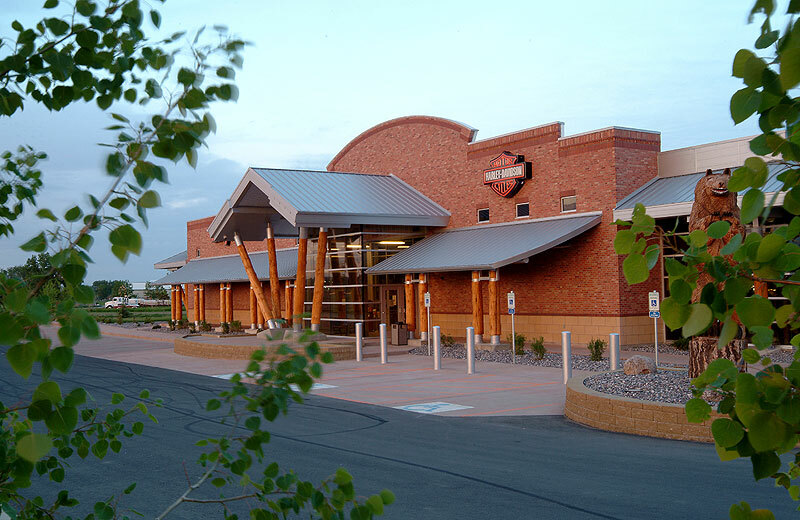 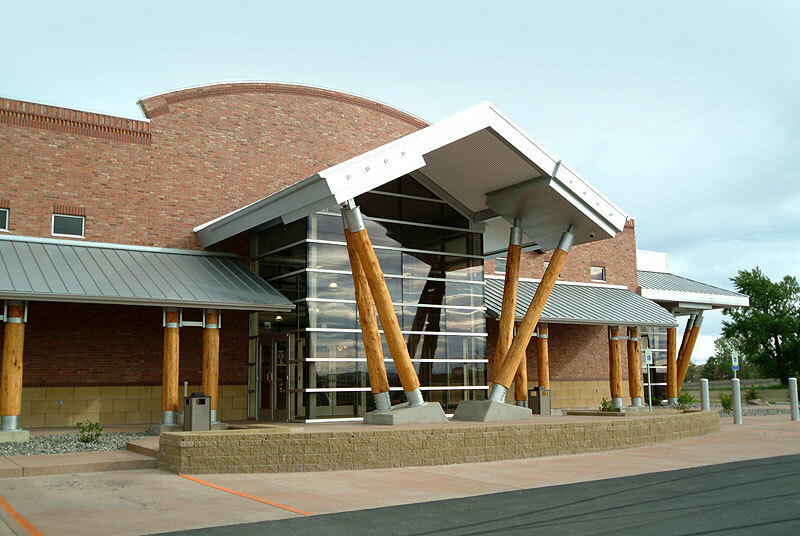 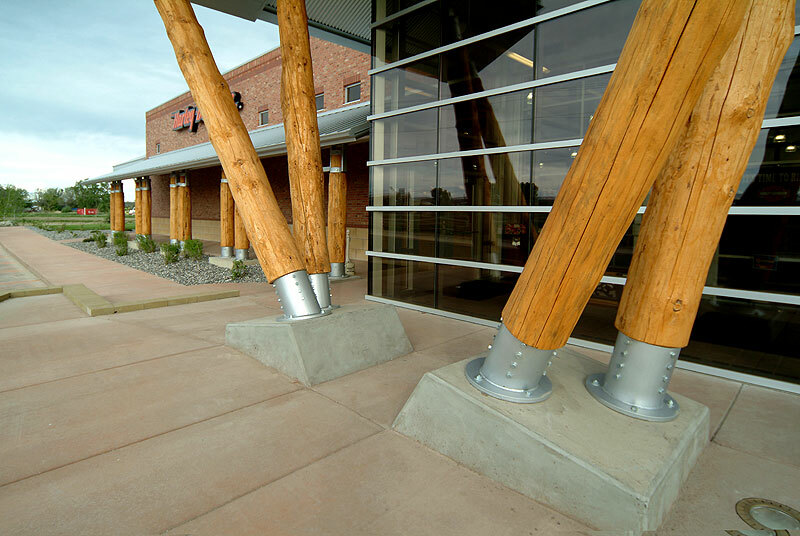 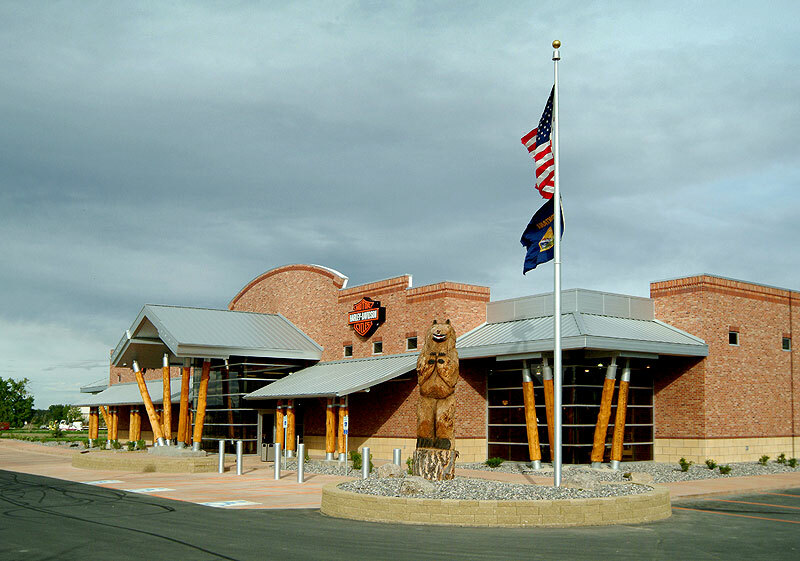 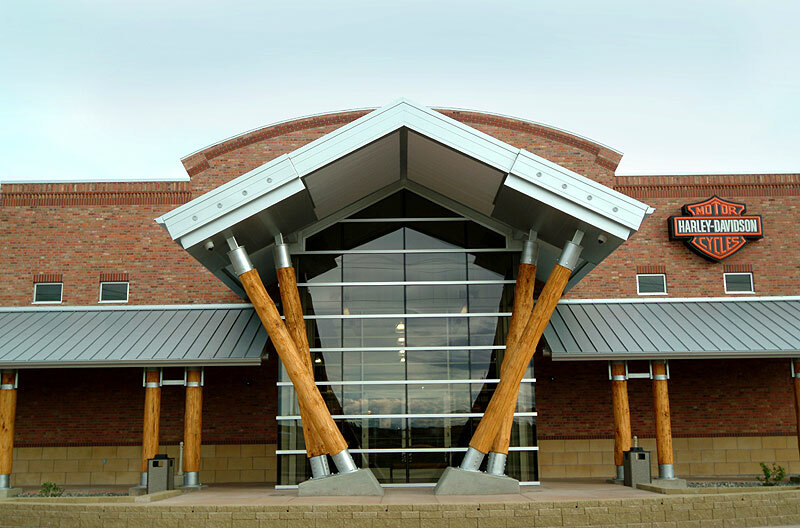 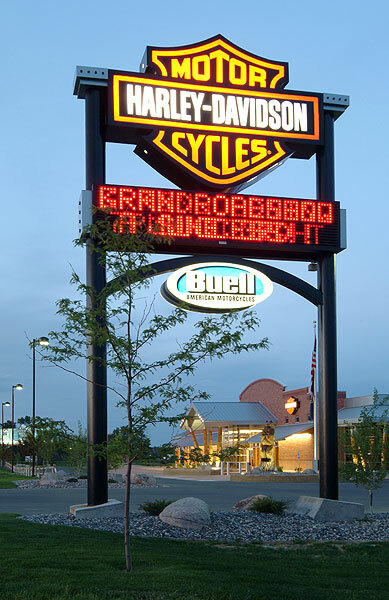 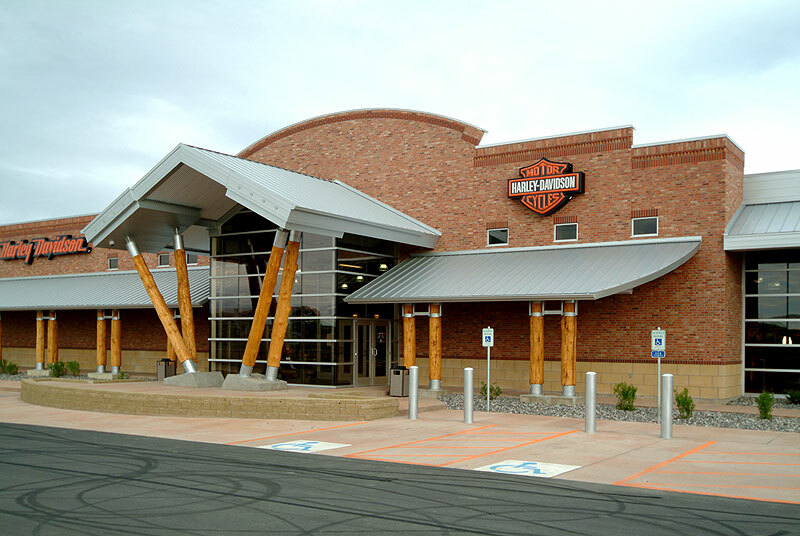 Beartooth Harley Davidson/Buell Jones Construction and its team of designers and subcontractors have created a timeless look integrating the classic Harley style with natural colors and elements inspired by Montana’s Yellowstone Valley. 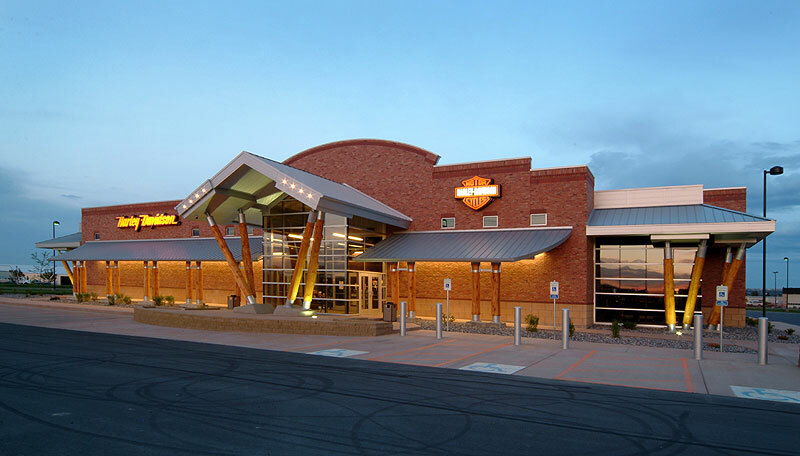 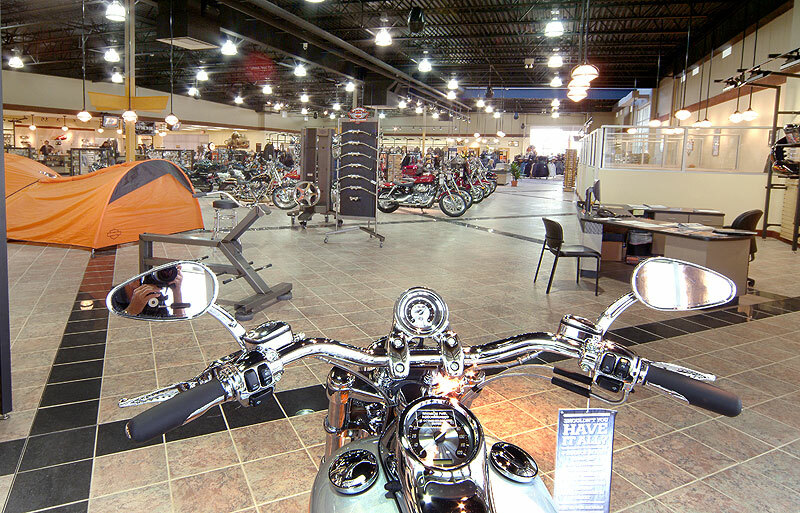 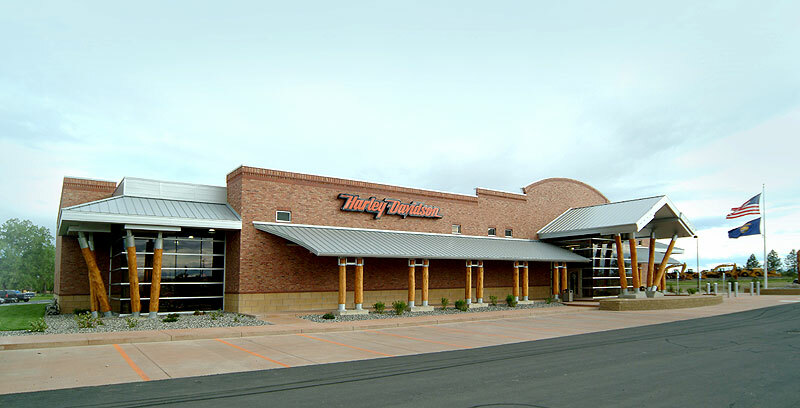 Combine the classic style with a prime location that embraces the connection to the open road and one has a destination that doesn’t miss a detail of the Harley mystique, right down to the signature Harley-orange stripes in the parking lot and front support columns that replicate the bikes’ distinct forks. 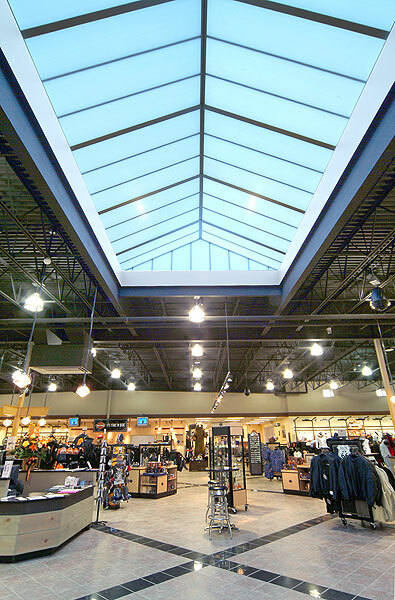 Large showroom windows take advantage of the excellent exposure and blend with a mix of industrial and high-end materials. 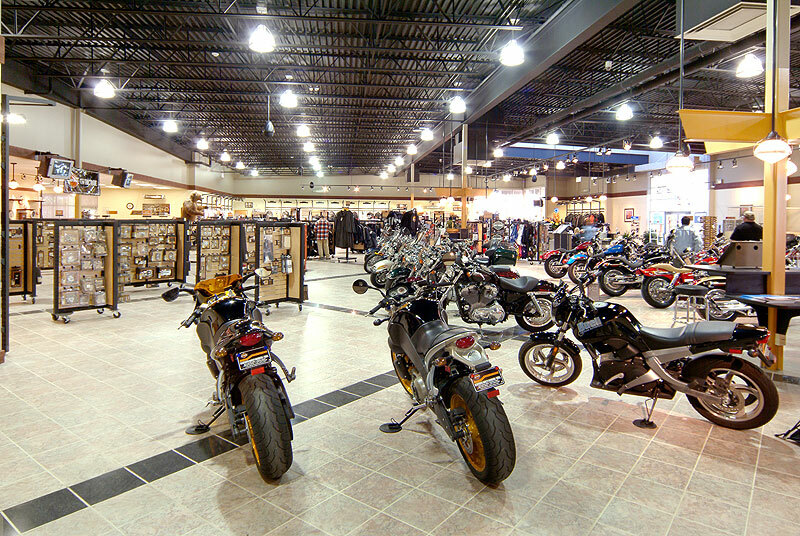 A beautiful porcelain tile floor under an exposed black structural steel ceiling anchors the interior while themed design elements are featured throughout. 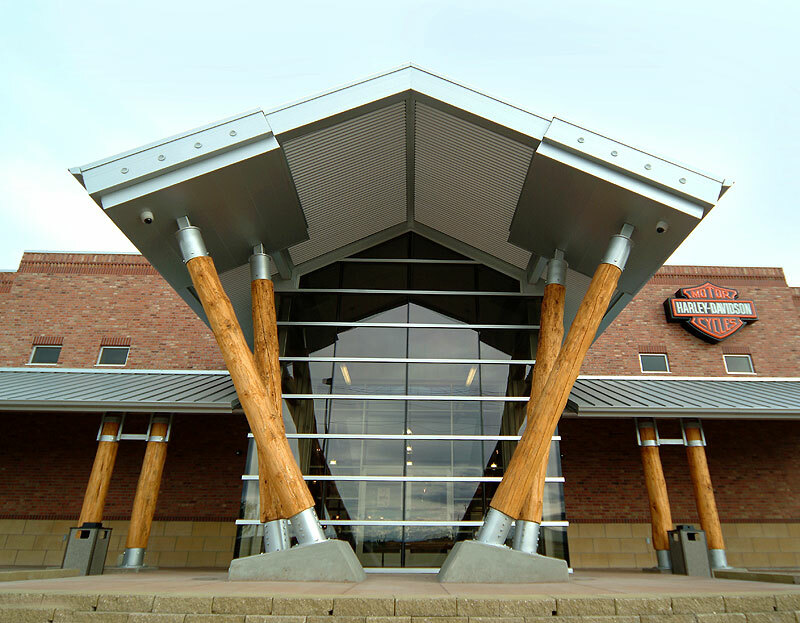 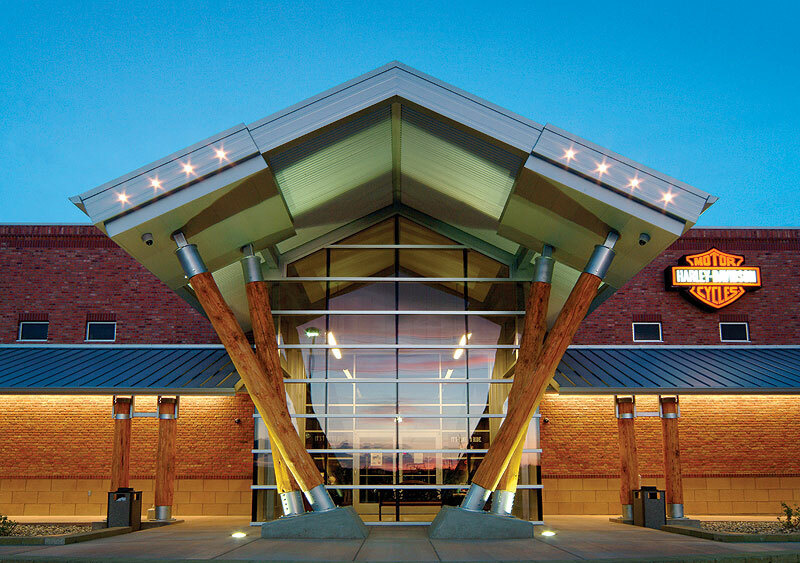 Oversized automatic glass doors streamline access to the service area.